Have it ALL in this Stunning Custom Home! 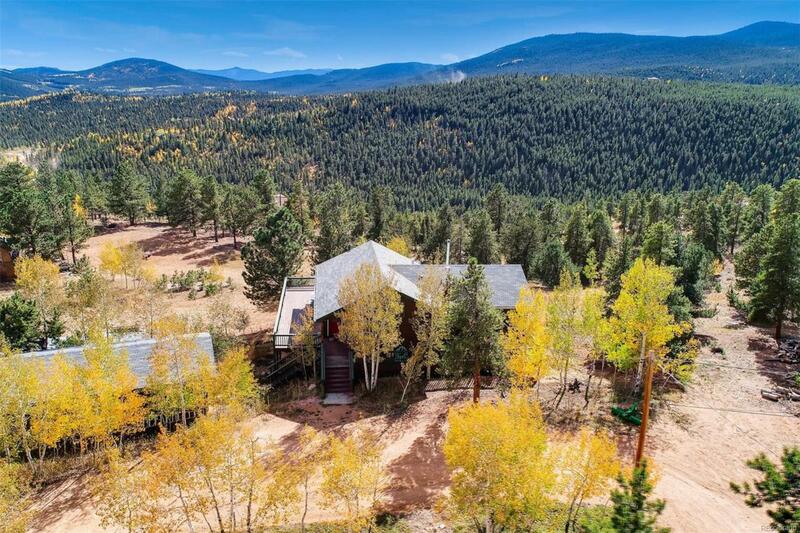 Fall in love with the open floor plan, expansive windows, & breathtaking 360 mountain views. Enjoy making meals & memories in the spacious gourmet kitchen with custom rustic hickory cabinetry & hand hammered copper sinks! The great room w/vaulted ceilings, passive solar & cozy fireplace will keep you comfortable on chilly days. Watch abundant wildlife from one of the many decks! Retire to your large, private main-level master with a walk-in closet, en suite & private deck. There are two more spacious bedrooms both with walk-in closets, laundry room, 2 walk outs, wood stove & full bath downstairs featuring a 10 ceiling. Dont forget the barn, lean to & dog run for your critters & as well as the playground & oversized 2 car garage all on nearly 4 acres of gentle land w/easy access & circular drive. Newer appliances, convection gas stove, hot tub, windows & carpet. Near horse trails, hiking, & camping. Colorado mountain living at its finest!